Home / News / New Combinent website launched. 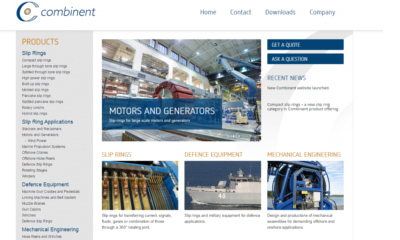 Combinent has launched a completely renewed company website. Target in building the new site was to have more interesting content more easily available for the site visitors. Visitor may now look for information by choosing first product/product type or by looking at examples of product use applications. There is also tabs for asking more information or a quote on the right side visible all the time. Combinent has always focused heavily on designing customized slip ring solutions. Now we have added to the site a selection of these different customized Project examples we have produced recently and over the years. By doing this we hope that customers get better idea of the variety of Combinent slip ring solutions and also about Combinent engineering and manufacturing capabilities. Customers may find suitable solutions for their needs or solutions which may be easily modified for their applications. 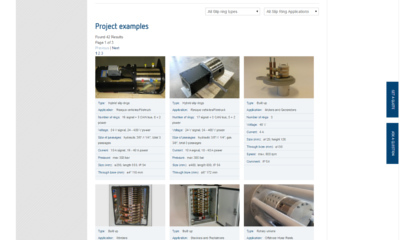 These Project examples may also give ideas for the project managers and engineers what type of slip ring solutions could be used as part of their equipment. Combinent has designed and produced wide selection of different slip ring types during past decades starting from 1980 so whatever your slip ring needs are please contact us and tell us more. We find the best solution for you from our existing selection of designs, modify some of those or make you a totally new design. Please explore our new web site content and let us know if you find something interesting for you. Also if you have any questions please contact us and we do our best to help you!